New To CrossFit in Boulder Colorado? Whether you're brand new to CrossFit or in need of a refresher, our 1-on-1 on-ramp program teaches the fundamentals of lifting and movement to prepare you to succeed. Are you ready to become a part of an inspiring community and get in the best shape of your life? The basic concepts of CrossFit and the terminology/theories that support its framework. Both basic and complex movements that are involved in workouts. Nutrition and recovery tips to help you take care of your body. Short introductory workouts that get you familiar with the format and intensity of our programs. No experience is required and all workouts can be adapted for any skill level, age and limitation. At Lefthand, our first priority is your safety. Making sure you have proper understanding of how to scale your workouts and recover is critical to your improvement and success in the long term. We want to make sure you feel comfortable during your first month, and our coaches BEG YOU to ask as many questions as possible to make sure that happens. We aren't here to see who is the fastest or strongest, but rather to make sure every single member is improving and challenging themselves at their own pace. 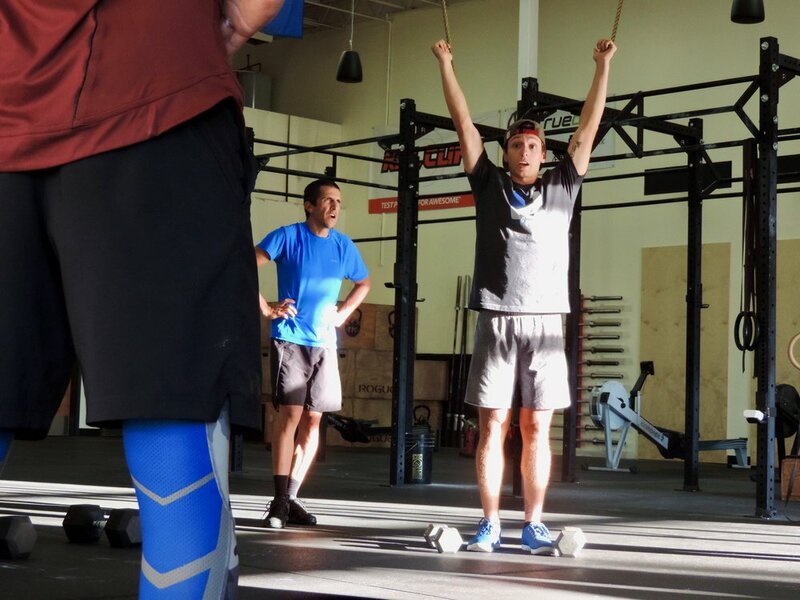 Everybody has different expectations, and the greatest thing about CrossFit is that any expectations can be met and maintained with proper coaching and consistency. Once you've completed your personal training sessions and feel comfortable coming to classes, the fun starts! Not only will you notice quick results, but you will want MORE after you've made that first step of improvement. You now have access to our amenities. Our staff, community, open gym, weightlifting and CrossFit programs are at your service. It's now time to see where you can take yourself from here!